We deliver electricity both day and night by using solar energy, inverters and batteries to store and provide electric power. SunCrate is a robust modular micro-grid solution that enables you to worry about more important things than your electricity. The marketplace has focused on fossil fuel powered generators. These units come with huge costs and logistical challenges. No need to constantly refuel this unit. This is a set it and forget it solution bringing power to any situation. The SunCrate is an innovative, scalable plug-and-play sunshine-to-energy module pioneered by SunCrate Energy. The SunCrate unit is a portable, scalable renewable energy system with a modular design that uses solar PV panels, inverters and batteries to store and provide electric power in support of critical services such as emergency first responders, medical care, schools and other community level facilities. Deploying SunCrate power mitigates outages by backing up traditional grid supply. We started by powering farmers in the American heartland. Every day we continue to expand the places and applications that we serve. Generates 23 to 156kWh and stores 10 to 135kWh per day, depending on configuration — enough to power lights, refrigerators, office equipment and HVAC. Power generation and storage capacity can be easily scaled through daisy-chained configurations, rooftop ballast PV panels, and portable gen-set to accommodate larger buildings and loads. Install & Forget Fuel-Free Solution can be system- integrated once grid power is restored. Capable of remote performance management. Easily transportable by ground or helicopter drop to any location in the world. Help us on our mission to help bring power back to the people! Changing the energy landscape is not easy! 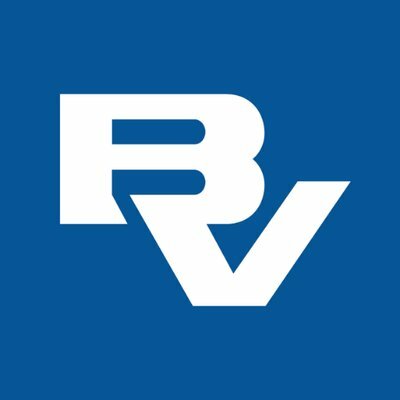 We are incredibly fortunate to work with amazing partners (including Tesla, Canadian Solar, Black & Veatch, and Lloyd Electric). These and other partnerships allow us to accelerate and magnify our impact. Take a look at some of the discussion below about our work and where we are going. We have deployed unique renewable solutions for some time. In 2014, Dolf Ivener, the founder of SunCrate, turned to sunshine to water his corn field for the growing season. 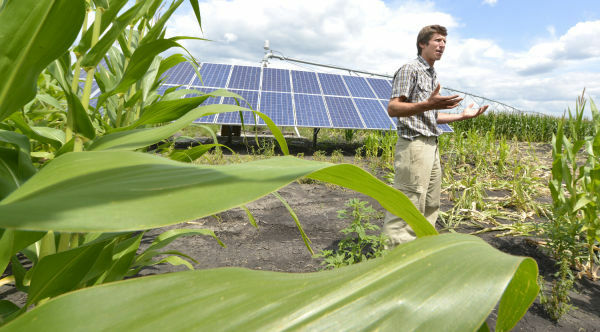 Ivener became the first Siouxland farmer to power a center pivot irrigation system with solar energy. It's also one of the first of its kind nationally. Mark Munger talks to Dolf Ivener, the founder of SunCrate, about his work. This interview covers quite a bit of ground and connects people with some coincidental midwestern ties. 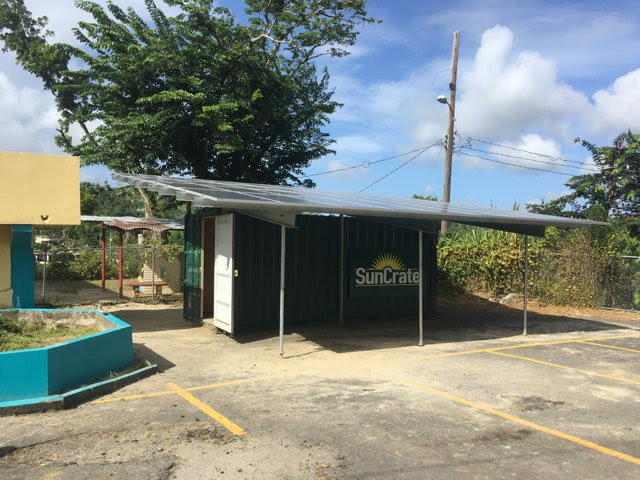 We donated a SunCrate Unit to the SU Manuel Ortiz school in beautiful Yabucoa, Puerto Rico and we want to do it again. This unit will ensure that the 140 students, their parents, and teachers will no longer have to worry about the electricity at their school again. There is no time to waste! We are working on putting resources together so that more can be done. Please join us in our efforts to help. Give us a call (Dolf - 712-251-9967) or fill out the form below to connect. We look forward to powering your application today! Copyright © 2019 SunCrate. All Rights Reserved.